: Board Collector: Obscure- yes. Complete- Almost. Its an unusual task to set ones self and possibly a somewhat unhealthy obsession to cultivate but I'm 70% of the way to owning a board from every shaper from the 1985 top 20. 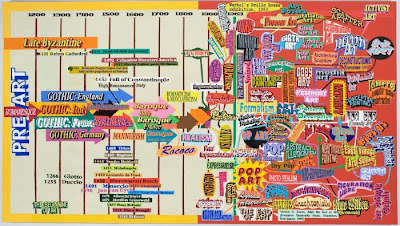 The argument I put forward in my defence is surfboards are sculptures and shapers are artists and the designs and shapes from the period are unique, innovative and beautiful. If the history of surfboard design was over laid with the history of modern art then the shapers of innovation period would be the fauves, cubists or post impressionists. But mainly these boards are just fun to surf. 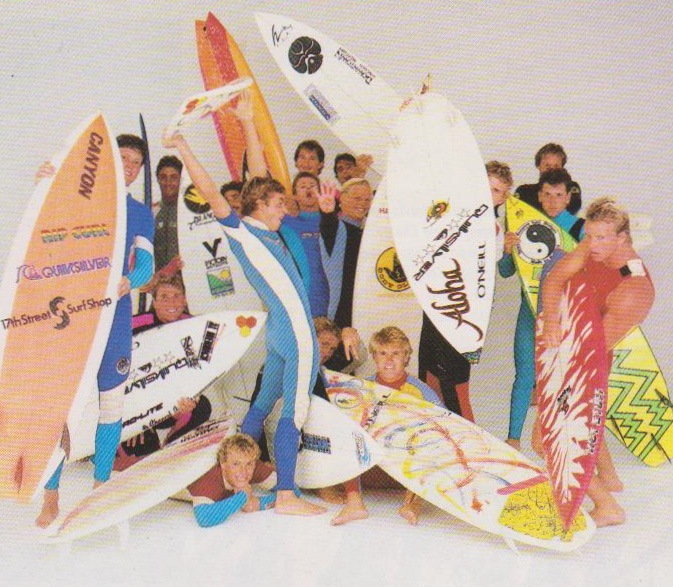 It's awesome to see how each surfers style is reflected in his board and how much the boards differ from one another. 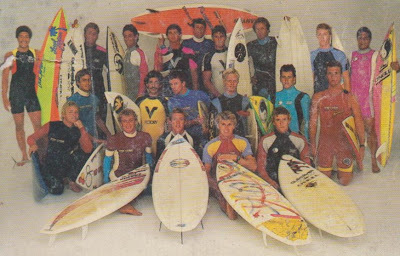 it is so refershing compared to today's identical quivers in comp surfing (slater aside) and the milmiteric differences between them. mate im so envious, just tell me how the hell you manage to stay married? My wife would kill me if I turned into you. 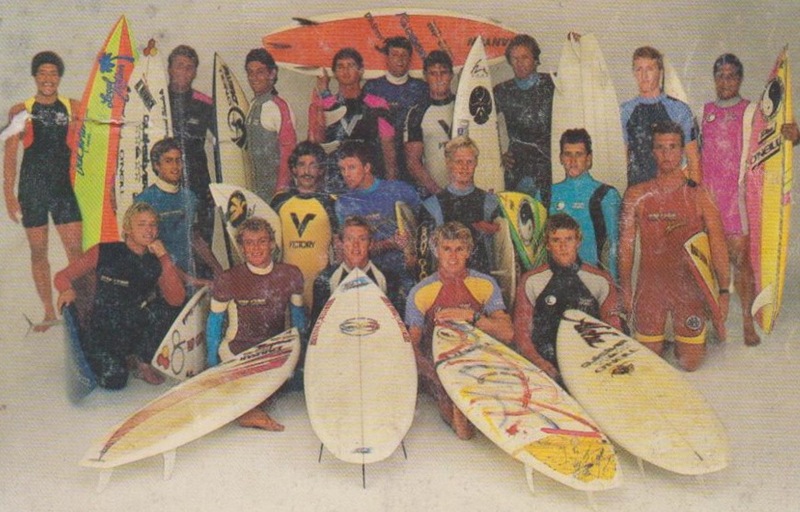 If my memory serves me correctly, Hans Hedemann was riding for Hawaiian Island Creations at the time that photo was taken. The logon on his board definitely looks like an HIC logo. If correct, either Cino Magalanes,Chuck Andrus or possibly Gabe Garduque were shaping for them during that era. Yes it was Gabe Garduque HIC shaper.... i have a 80's tri-fin 5'4"x21.5"x2 7/16" Squash tail s# 5-398 shaped by him.